You wait for a workhorse 123 with Universal ISOFIX and then Hubbub comes along all at once. All burly and in charge, this squidge covered toughie's mission is to grow with your cute commuter. 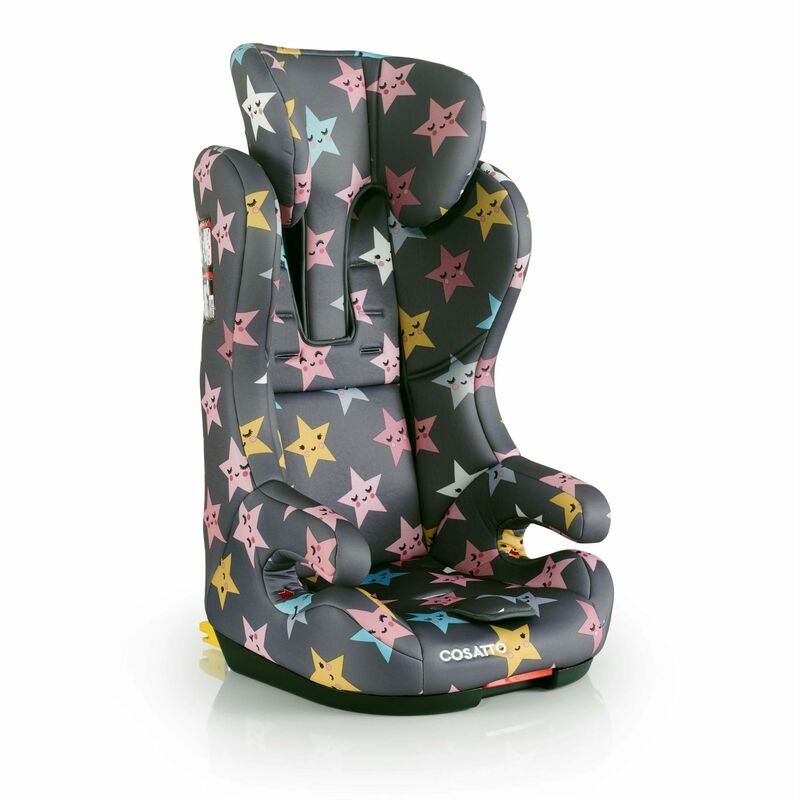 From just past dot (9kg) to nearly grown (36kg) this adjustable alpha seat gets taller with your tot thanks to a 6 position headrest. With a 2 part reversible seat liner bringing a supportive snuggle to suit their stage, comfy padded armrests and side impact protection, there's tough love under the comfy. 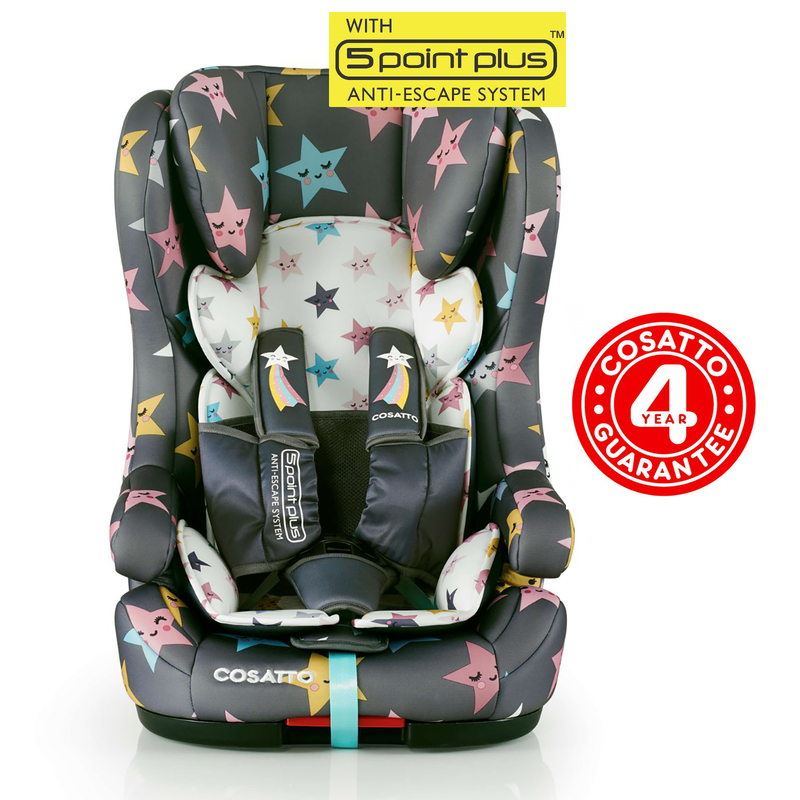 Universal ISOFIX brings click 'n' go convenience and extra stability. After that, Group 2 & 3 are belted. There's even intuitive storage for straps as Hubbub grows. 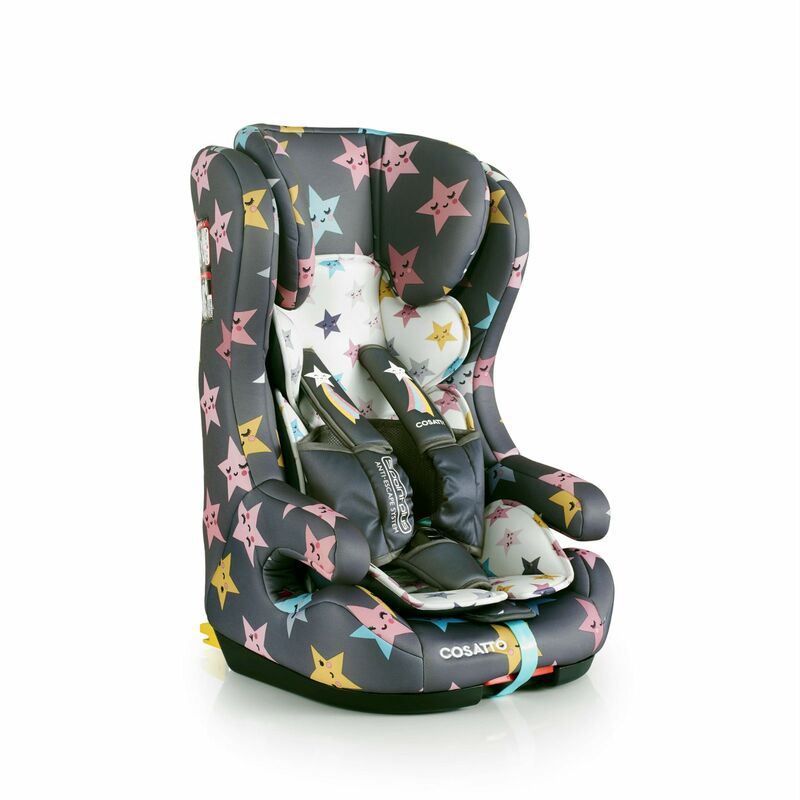 Hubbub's your handy hero from dot to big kid booster seat. Up until now, the standard 5 point harness on all car seats offered the 'best protection' for your child. Each time you buckled up with the standard 5 point harness you did get a bespoke fit. So far so good. However, children are natural escape artists. With the industry standard 5 point harness they are able to push their hands through the gaps above the red buckle, simply slipping the harness off their shoulders and wriggling free. Not any more. Cosatto have just closed the gap. Their brand new revolutionary 5 Point Plus system shields those escape gaps, making it virtually impossible for children to escape their harness. Cosatto are making your child, you and the roads safer.